After a summer of promise, a new attacking, experienced manager and record spending we all hoped we had a deep squad that would be able to compete for higher honours. What we have learnt this season is that injuries are the never-ending plague at Rush Green; and we don’t have the quality we hoped we did. For the first time in a long while, this season we legitimately had two players for each position thanks to the manager’s requirements for a squad approach and that has helped us hold a reasonable mid table position when the inevitable injuries swarm came calling. In previous seasons, a lack of competition and those injuries would derail us completely, whereas Manuel Pellegrini’s calm guile has meant while we haven’t been consistent or at our best against sides we believe we should beat, we continue to pick up points in mid table safety. It is clear though to achieve consistency and play with the “Big Club” mentality that our manager is pushing to instil across the club that we need a first eleven of class players with the attributes MP wants and values most: technical skill, speed and a calmness on the ball based from a hardworking and unified defence that can start moves from the back. It is perhaps a bit controversial, but based on those requirements there are only six players who are quality enough to be considered certain starters for next season. 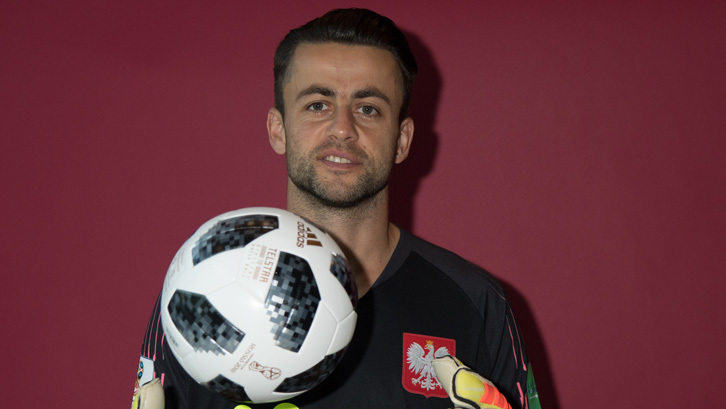 Lukasz Fabianski will rightly be considered one the favourites for Hammer of the Year and perhaps be considered signing of the year as well. His ability to consistently pull off great saves and provide solidity to the backline has been a welcome improvement and shown how important reliability is, something that Joe Hart and Adrian weren’t able to offer last season. The new pairing of Issa Diop and Fabien Balbuena has been one of Manuel Pellegrini’s great successes this season. When together they have quietened some of the best attacks in the league and with time they will only get better. The difference in solidity when Balbuena was injured was noticeable as he calms Diop’s youthful enthusiasm and helps him to make the right choices. Ogbonna currently doesn’t seem to have that connection. Declan Rice, what a player we have here! Every obstacle set in front of him he has conquered in style. Any setback he’s had has become nothing more than an opportunity to learn, grow and become a better player. Although many pundits would like to see him at centre back, the deep midfield role has allowed him to use his natural skills and show just how much more there is to his game. This will only improve, and if we can put the right players around him, our club could grow substantially with him. He’s the first player named each week. Manuel Lanzini has the undoubted potential to be an elite player, but injury during his preparations for Argentina has robbed Pellegrini of the player most suited to his style and reportedly the player he was most looking forward to working with when he arrived at the London Stadium. The recovery from a severe injury like his will take time before we see him back at his best, and hopefully with the upcoming games we’ll get to see him quell any concerns about the affect the injury will have on how good he can be. Next season he can expect to start. Felipe Anderson is the man Pellegrini pushed for and we can see why, even with the record price tag. He has everything physically and technically to be a great player. There are still rightly question marks over his consistency, but the same can be said for much of the team at the moment. When we’ve won games in style he’s been the player to set things alight – and fans are looking forward to seeing what he and Lanzini can offer in combination with the remaining games this season. There is a reason he’s played every game in the league. With half a team of 6 certain starters we will need quality signings to be able to further grow the club to where Manuel Pellegrini and the owners expect to be. This leaves five positions where work is required for us to achieve those ambitions and the work will not be easy or cheap. With the limited funds available, Mario Husillos is going to have to prove just how good he is in one of the busiest and most challenging periods of his life. The good news is that they say every team needs a strong spine, and we are just a couple of key players and one strong transfer window away from having a top-quality skeleton to move forward with.